I’m a BUSH’S® Beans Blogger Ambassador. I received products and compensation. The recipe Mexican Torta With Eggs, Chorizo and Frijoles and all opinions are mine and have not been edited by others. When living in Texas, it is impossible not to be seduced by the Mexican and Tex-Mex food, many times when we go out to eat we end up in a Mexican restaurant. 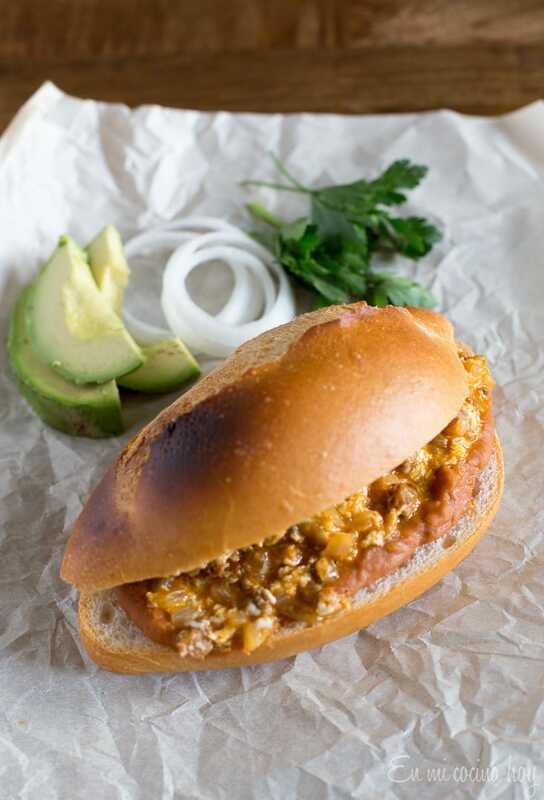 And this Tortas, the Mexican word for sandwich, is a favorite because Chileans love sandwiches, we don’t eat tortillas, and bread is king and present on all meals and also in many snacks. 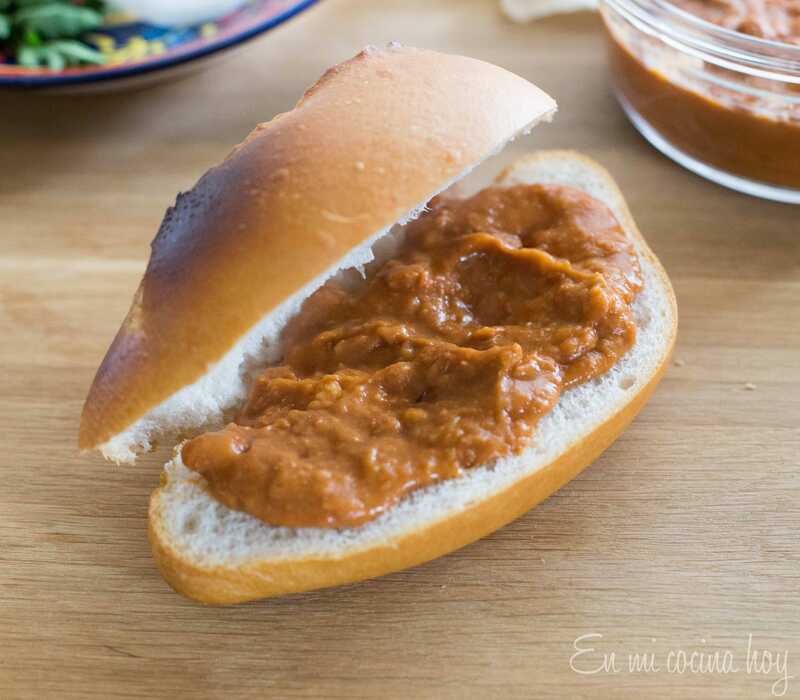 This Tortas are easy and have a wonderful flavor. They are very popular in Mexico and here in Texas as a quick breakfast on the go, and are offered at the food trucks and taco stands everywhere in Houston. This is my first recipe as a BUSH’S® Beans Blogger ambassador and I love having the opportunity to recommend Cocina Latina BUSH’S® Beans line, there are 4 varieties and the 4 are excellent, authentic taste and always at hand, they are very convenient. As a way to kick off the collaboration with BUSH’S®, I was invited to visit Knoxville and the plant where they produce their beans. It was a fantastic experience, several things surprised me in a very pleasant way: Such that wherever there are people monitoring the production line, they have natural light, it is a plant with windows! The plant is very close to the beautiful Smoky Mountains, the scenery is pastoral: green hills with grazing cows, then we were told that this is partly the result of the water management which recycled the water used for production: the solids are used to generate gas to heat the steam columns and the rest is used to water the grass around the plant, which it is cut by cows, a complete environmental circle. Soon I’ll tell you more about the visit. My grandfather was an absolute fan of eggs with sausage for breakfast, I like to think he would love the beans addition. Visit our collection of Chilean recipes here. In a medium skillet over medium heat, cook the sausage without the skin for 5 minutes, stirring. Add the chopped onion, cook for 5 minutes. Add garlic, cook 1 more minute. Toast the bread lightly. Cut in half lengthwise. Heat the beans in the microwave or pan. 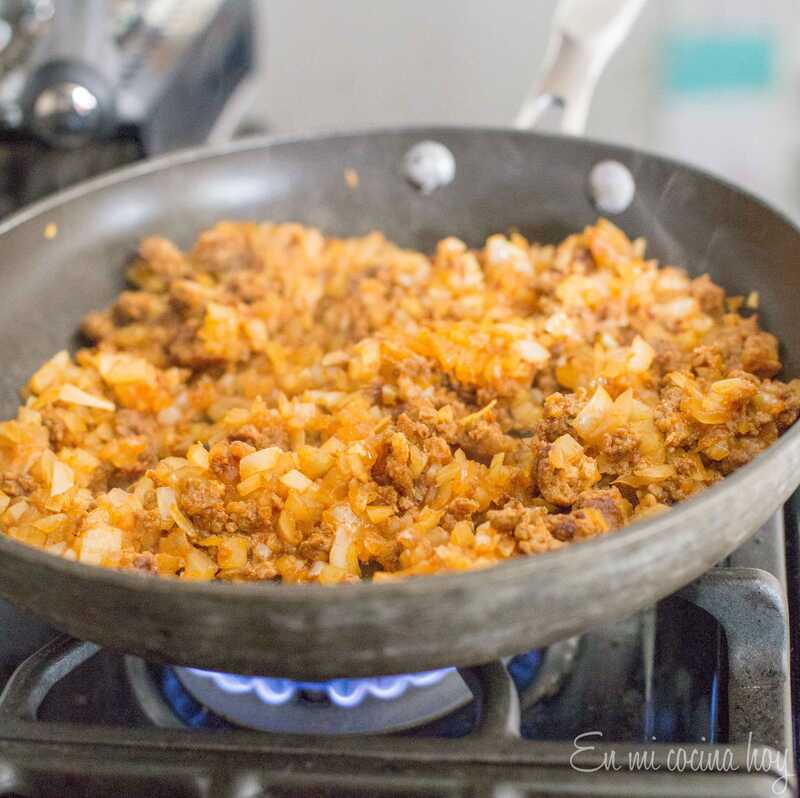 Add the eggs to the pan with chorizo and mix gently until they are cooked, remove from the heat before they are ready and will finish cooking with the residual heat is not about cooking. 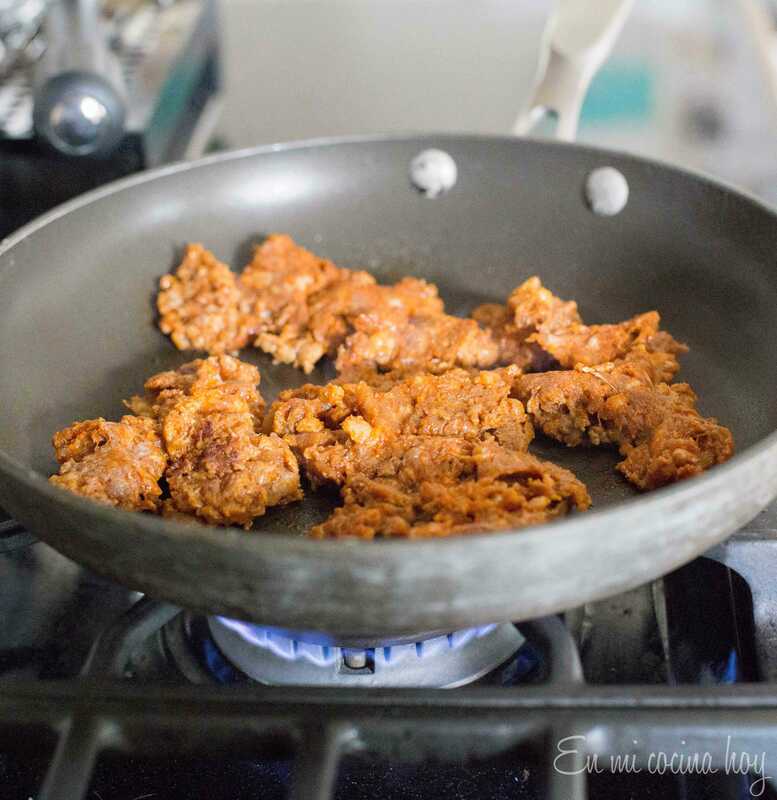 Place 2 tablespoons of beans at the base of the pan, and spread over the eggs with chorizo. Serve immediately with sliced onions, sliced avocado or avocado, cilantro and hot sauce.